What exists at the very center of the Venn diagram between Katy Perry’s feud with Taylor Swift, Stranger Things, Game of Thrones, and GLOW? Perry’s new music video for her song “Swish Swish,” that’s what. I’m sure there’s some kind of plot you’re supposed to pick up on here, but I’m struggling to find it. “Swish Swish” is a mostly ho-hum song about how neither Katy Perry nor Taylor Swift can settle their personal vendettas against one another like mature adults. This particular diss masquerading as a bop just so happens to be basketball-themed, and the accompanying music video plays it up for comedic effect. 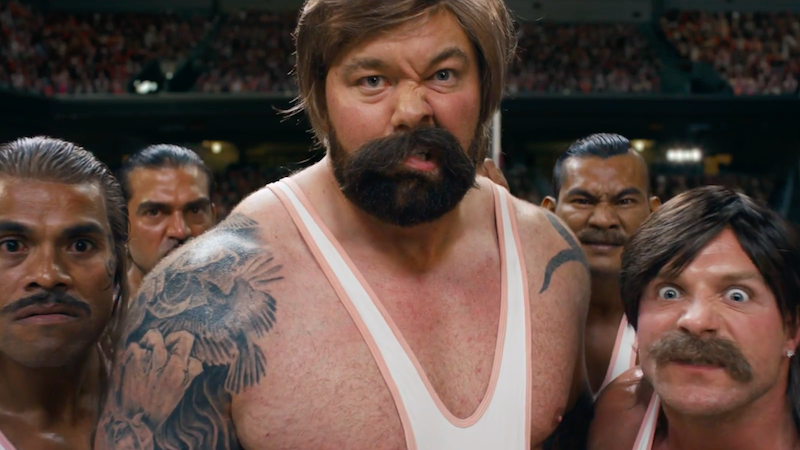 Rather than having Perry square off against a Swift lookalike the way you might expect, the “Swish Swish” video features a team of underdogs—including Stranger Things’ Gaten Matarazzo, YouTuber Christine Sydelko, and that backpack kid—playing ball against Hafþór Júlíus Björnsson, aka the Mountain from Game of Thrones. Also, some of the wrestlers from Netflix’s GLOW are there as cheerleaders and Nicki Minaj makes a brief cameo in an outfit plucked right out of Final Fantasy XIII. The video’s all over the place, but I’m sure it’ll hit the spot for someone out there.